Aquatic plants serve an important purpose in an aquatic environment. They play a key component in maintaining and enhancing the ecological balance in ponds, lakes, wetlands, rivers, and streams. Beneficial aquatic plants have many values including filtering nutrients and toxic chemicals, stabilizing shorelines and providing important fish and wildlife habitat. Wisconsin Lake & Pond Resource sells and installs a number of aquatic plant species. 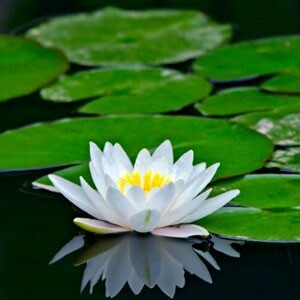 Provided is a list of beneficial aquatic plants offered. Ecological values and a description are included for a majority of the plant species. (Sagittaria latifolia) also known as duck potato is a perennial herb that is a very common shoreline plant. As its name implies, leaves are shaped like an arrowhead. The leaves vary greatly in size and shape. 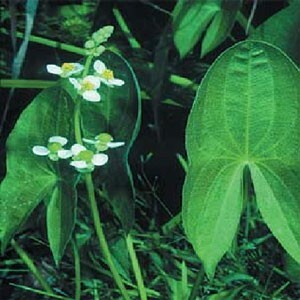 Common arrowhead produces small white flowers made up of three rounded petals. Ecologically, duck potato is considered one of the highest valued aquatic plants for wildlife. The high-energy tubers and seeds are relished by a variety of wildlife, including several species of waterfowl. Arrowhead stands provide rearing habitat for fish and help aid in shoreline stabilization. (Iris versicolor) and Yellow Water Iris (Iris pseudacorus) are ornamental perennials that grow along shorelines. The sword-like leaves arise in late March to early April and grow 1-2 feet tall. Blue flag iris offers showy violet flowers that bloom during May to July. Yellow iris produces showy yellow flowers that bloom in July. Water iris is supported by a robust root network that provides excellent shoreline stabilization. Iris also offers important shoreline habitat for an array of wildlife. (Schoenoplectus tabernaemontani), Hardstem Bulrush (Schoenoplectus acutus), Three-square Bulrush (Schoenoplectus pungens), and River Bulrush (Bolboschoenus fluviatilis) are common perennial pond and lake colonizers that can grow in water up to 5 feet. Softstem and hardstem bulrush support long cylindrical leaves that grow 3-8 feet high. Three-square has triangular leaves that grow 2-5 feet. Bulrushes provide important spawning, nursery, and foraging habitat for fish and waterfowl. Bulrush species are also very effective at taking up nutrients and stabilizing shorelines. 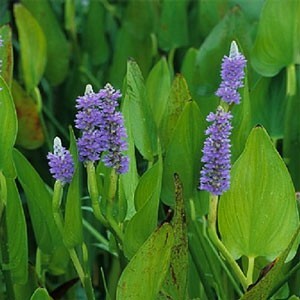 (Pontederia cordata) is an ornamental perennial that can grow in water up to 3 feet deep. 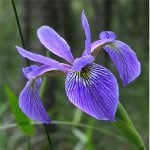 Pickerel plant is made up of glossy, heart shaped leaves and a showy violet blue flower spike. The colorful flower stalk serves as a nectar source and home for many beneficial insects. Pickerel plant also offers exceptional habitat for both adult and juvenile fish. The robust leaves and rhizomes play a key role in shoreline stabilization and help buffer wave action. (Nymphaea odorata) emerges from a buried rhizome. Durable round stalks grow up from the rhizome. 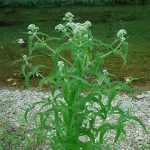 This perennial herb supports large round leaves (4-10 inches) wide that float at the water’s surface. By mid-summer showy white flowers float at the water’s surface. Lilies serve as important fish cover, especially for largemouth bass. White water lily seeds, rhizomes, flowers, and leaves are consumed by many wildlife species. 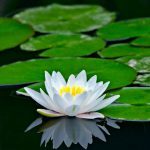 White water lilies also prevent shoreline erosion by slowing wave action. 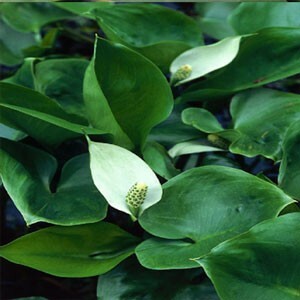 (Nuphar variegata) also known as spatterdock is a perennial herb that produces yellow, rounded flowers. Large (4-10 inches) long, heart-shaped leaves float at the waters surface. Spatterdock prefers soft sediment and can grow in water up to 6 feet deep. With large buried rhizomes, spatterdock helps stabilize bottom sediment. The large leaves also help buffer the impact of wave action on the shoreline. Spatterdock offers excellent fish habitat. Seeds are eaten by waterfowl; leaves, rhizomes, and flowers are relished by beaver, moose, and deer. (Calla palustris) is an ornamental perennial that supports heart shaped leaves that grow to 1 foot high. A showy white floral leaf surrounds a unique golden spadix. 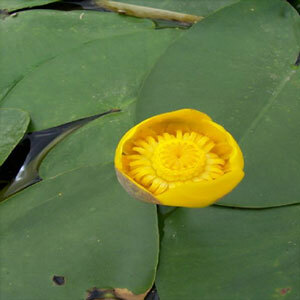 Water arum is a popular pond plant that usually prefers to grow in water less than 1 foot deep. Ecologically, arum provides habitat for fish and aquatic invertebrates. Berries of water arum are consumed by a variety of wildlife. (Alisma subcordatum) is a common shoreline colonizer that grows well on exposed mud flats in water less than 1 foot deep. Water plantain is a perennial herb that supports broad, flat leaves that grow 1-2 feet high. Tiny white flowers are spread out on a highly branched flower stalk. Like arrowhead, water plantain has many ecological values. The sturdy flower stalk offers a popular perch for songbirds and insects. A variety of waterfowl consume both tubers and nutlets. 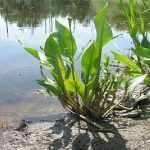 Water plantain also provides juvenile fish rearing habitat and shoreline buffering. 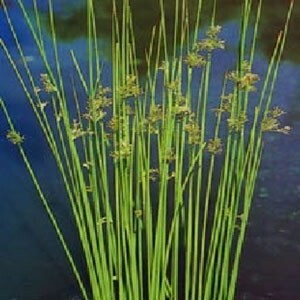 (Acorus calamus) is a perennial herb that resembles cattails at first glance. Unlike cattails though, sweet flag does not grow to nuisance levels. The tall sword-like leaves produce an appealing spicy fragrance. A cigar looking spadix (seed-head) is a unique characteristic of sweet flag. 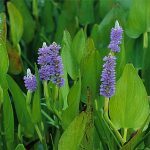 This aquatic plant will grow in water up to 3 feet deep. Ecologically, sweet flag provides spawning habitat for fish and serves as an important stabilizer against erosion. 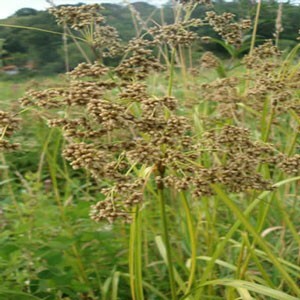 (Sparganium eurycarpum) is a perennial herb that tends to grow in shallow waters. This emergent has sword-like leaves that resemble a compressed triangle in cross section and grow 2-4 feet. 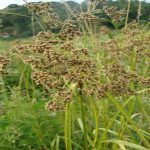 Bur-reed produces a large seed crop that is consumed by a variety of waterfowl. Like bulrush, bur-reed provides excellent habitat for nesting birds and important habitat for fish. 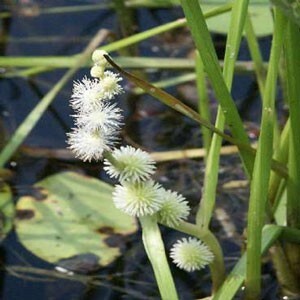 Common bur-reed also anchors bottom sediment and offers nutrient filtering capabilities. 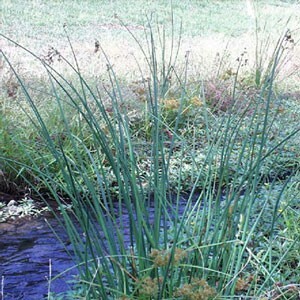 (Juncus effusus) is an early growing perennial that establishes along shorelines in shallow water less than 1 foot deep. Each plant supports dense clusters of smooth cylindrical stems. The leafless stems grow 1-3 feet. 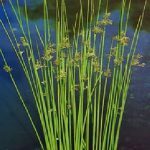 Soft rush is a popular pond plant because it is short enough to fish over and helps prevent the encroachment of cattails. Anchored by an impressive root network, soft rush offers excellent shoreline stabilization. Soft rush also provides cover and seeds for a variety of birds. 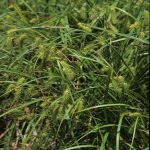 (Carex comosa) and Porcupine Sedge (Carex hystericina) are perennial herbs that appear grass-like and have triangular solid stems. Sedges colonize on shorelines, wet meadows, and marshes. Most prefer to grow in water less than 1 foot deep. Sedges provide important nesting cover and food for a wide variety of songbirds, upland game birds, shorebirds, and waterfowl. Amphibians, including frogs and salamanders utilize Carex for feeding, shade, and protection. Sedges also serve as important buffer species against nutrient loading and shoreline erosion. (Zizania aquatica) is an annual emergent grass that grows from seed each year. Flower stalks rise up to 9 feet tall. Wild Rice can grow in waters up to 3 feet deep. Rice establishes best in clear, shallow moving waters that have a mucky substrate. Ecologically, wild rice is prized by an array of wildlife. A variety of waterfowl, shorebirds, and songbirds relish the large seeds. Muskrats use the robust stems for lodge building and as a food source. Wild rice beds also provide spawning habitat for fish and help stabilize bottom sediment. (Stuckenia pectinata) is a perennial herb that emerges from a slender rhizome that contains many starchy tubers. Leaves are sharp, thin, and resemble a pine needle. Reddish nutlets (seeds) that resemble beads on a string rise to the water surface in mid-summer. 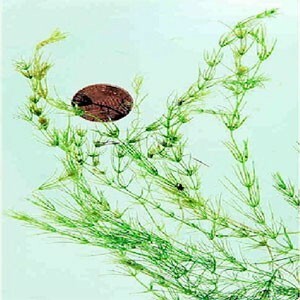 Sago pondweed produces a large crop of seeds and tubers that are valued by waterfowl. Juvenile fish and invertebrates utilize sago pondweed for cover. (Vallisneria americana) also known as eel-grass has long ribbon-like leaves that emerge in clusters. Leaves have a prominent central stripe and leave tips tend to float gracefully at the water’s surface. In the fall, a vegetative portion of the rhizome will break free and float to other locations. Water Celery is considered one of the best all natural waterfowl foods. The entire plant is relished by waterfowl, especially canvasbacks. Eel-grass beds serve as an important food source for sea ducks, marsh birds, and shore birds. Fish utilize water celery for cover. (Chara spp.) is a complex algae that resembles a higher plant. It’s identified by its pungent, odor and whorls of toothed branched leaves. 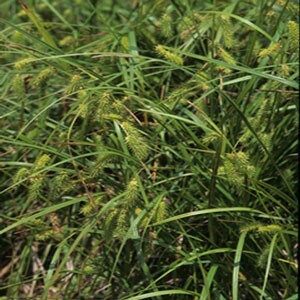 Ecologically, muskgrass provides shelter for juvenile fish and is associated with black crappie spawning sites. Waterfowl love to feast on Chara when the plant bears its seed-like oogonia. Muskgrass serves an important role in stabilizing bottom sediment, tying up nutrients in the water column, and aiding with water clarity. (Verbena hastata) Blue Vervain grows naturally along roadsides and tall grassy fields flowering between June and September. It is a tall, slender, elegant, perennial plant. 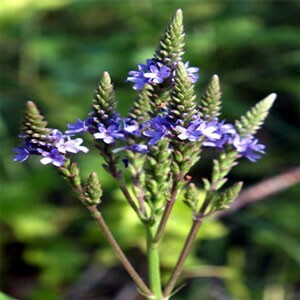 Its leaves are lobed and serrated in shape and have small purplish-blue flowers. The brilliant purple verbena can be seen along roadsides and waste places all summer long. Growing to a height of 2-7feet. It is a freely branching with opposite lance-shaped leaves which are very rough to the touch. This is a common plant that occurs across North America. The plant has no perfume, and is slightly bitter and astringent in taste. They are hardy and drought resistant which makes them great in a Wisconsin climate. (Scirpus cyperinus) Each stem is topped by a large, shaggy brownish inflorescence drooping several inches long. 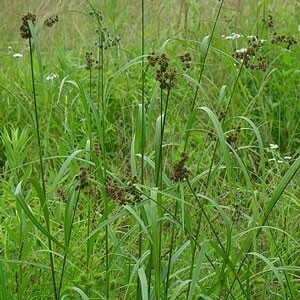 This large native sedge may first be noticed as a colony of 6 ft. tall. 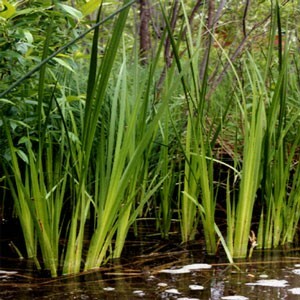 It is found growing in marshes, swamps, and pond margins. It blooms from summer to fall. 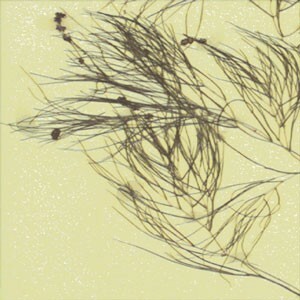 Wool-grass occurs almost always under natural conditions in wetlands. Wool Grass actively grows during the spring and fall when soil temperatures are cool. It is often used to regenerate wetland areas and encourage the return of native birds. 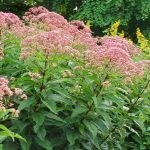 (Eupatorium maculatum) Joe-Pye weed is a tall perennial that occurs prefers full sunlight, wooded slopes, wet meadows and thickets and stream margins. It prefers moist soils, but with its extensive root system, it also tolerates drought well. It is a large plant, growing 4 to 6 feet tall. It has tiny, vanilla-scented, dull pinkish-purple flowers in large, terminal, domed, compound inflorescences bloom in mid-summer to early fall. Flowers are very attractive to butterflies. Flowers give way to attractive seed heads which persist well into winter. (Eupatorium perfoliatum) Boneset is a perennial herb with a hairy stem typically 2 to 4 feet high. The leaves are large and united at the base The leaves serve to distinguish the species at the first glance. The flower-heads are terminal and numerous, large and slightly convex, with from ten to twenty white florets. 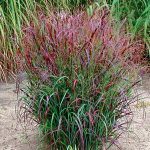 It is nearly always found in low, wet areas and often found near Reed canary grass. Eupatorium perfoliatum is a specific Butterfly food and habitat plant. Boneset also has many medical uses and was a very common remedy in the United States in the 19th century. 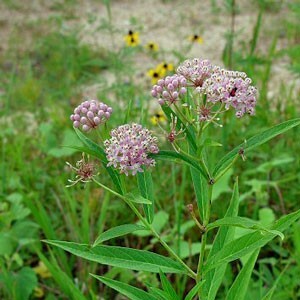 (Asclepias incarnata) It is typically found growing wild near the edges of ponds, lakes, streams, and low areas. The plants have specialized roots for living in heavy wet soils. The thick, white roots are adapted to live in environments low in oxygen. Sweetly scented clusters of rose-pink flowers bloom in summer. Butterflies find the faint vanilla fragrance irresistible and monarch larvae feed on the foliage After blooming, long, rounded, pods are produced that grow uprightly. The pods split open in late summer to late fall, releasing seeds that are attached to silky hairs, which act as parachutes that carry the seeds on the currents of the wind. Marsh Milkweed seeds germinate without pretreatment. 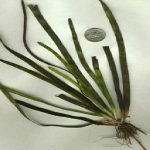 (Scirpus atrovirens) This is a plant with grass-like stems that grows up to 4 1/2 ft. The terminal inflorescence contains many spikelets that are crowded into dense, nearly spherical heads. There are 3 or more spreading leafy bracts underneath this inflorescence. The characteristics of the leafy bracts are similar to those of the leaf blades. This plant is often found in wetland habitats that are somewhat degraded. 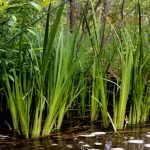 This plant does best growing in: wet to moist black soil/clay, woodlands, marshes, seeps, sedge meadows, low areas along ponds and rivers, and drainage ditches. (Panicum virgatum) Switchgrass is one of the dominant species of the tallgrass prairie, but also grows along roadsides where moisture is present. The rich, yellow-colored clumps last throughout the winter. 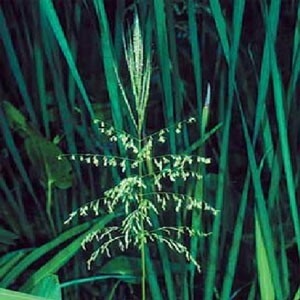 It is a grass averaging 3 to 5 feet tall. The stem is round and can have a red to straw colored tint. The seed head is an open, spreading panicle. Switchgrass is climatically adapted throughout most of the United States when planted on suitable moderately deep and poorly drained sandy soils. Switchgrass occurs naturally on prairies, shores, riverbanks, high brackish marshes, and along maritime forest environments. I appreciate your speedy attention whenever I call or text.